It is strangely quiet in the valley this morning. As I came through the covered bridge in Waitsfield I noticed that the sand bag job at the newly restored buildings was tidied up. At least Irene left us with some idea of how to prepare for flooding in our towns in Vermont. The birds are quiet, my dog is nervous and the air feels ominous. Some of you know me to be a sailor, and we lost a treasure this morning. 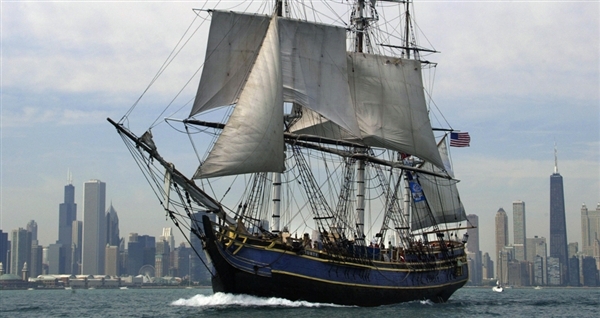 At around 9:15 last night the HMS Bounty sent a distress call that they were taking in 2′ water/min off the Outer Banks. We can get into a discussion later about what idiot let them be in that spot now after the weather has been predicting accurately Sandy’s path for a week. Through the night the heroic Coasties rescued 14 of the 17 souls aboard from life rafts. At around 8AM Bounty went under, 3 crewmen still missing, and the Coasties still risking their lives in these horrific conditions to find them. Please say the sailors prayer for all. Fair Winds Bounty. Sailors Prayer: O Eternal Lord God, who alone spreads out the heavens and rules the raging of the seas,receive into your protection all those who go down to the sea in ships and occupy their business on the great waters. Preserve them both in body and soul, prosper their labors with good success, in all times of danger, be their defense, and bring them to the haven where they would be, through Jesus Christ our Lord. Amen.